Chisholm Academy High School is a traditional, private, full time secondary school, characterized by small classes and a unique, flexible, individualized approach to student learning. We believe that most students can be successful when a realistic educational plan is developed and when the implementation of the plan includes individual academic and personal accommodations or strategies. 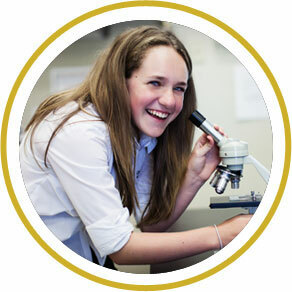 As a Ministry of Education Inspected Private School, Chisholm Academy offers a wide range of approved courses. Students who need academic upgrading and assistance or a small class environment, and those who require strategies to overcome a learning disability all find a place at Chisholm. Working closely with the Psychology Department and with the teaching faculty, the professional staff at Chisholm Academy develops personalized educational plans based on individual needs and goals. Students are offered a full complement of academic, applied and essential level courses, in small classes, preparing them for university, college or the work place. However, our flexible schedule allows students the opportunity to customize their high school experience by taking individualized credits. This ability to design individualized programs, based on a student's educational and learning profile, is a unique component of the Chisholm high school experience. A Learning Strategies course is offered in Grade 9 to prepare the students for the demands of studying and successful learning. In addition, a Literacy course prepares students for the Literacy Test which they must pass as a diploma requirement. Each student receives personalized guidance support and a comprehensive, individualized Co-operative Education program extends the students' experience beyond the classroom. In addition to the assistance that is offered in each classroom, there is an opportunity to receive extra support at study hall held during the lunch break and after-school each day. For those few students who require even more support, our tutoring services are also available after school. A computer lease plan ensures that each student has an academic laptop that fully utilizes current educational software. Wireless internet is available for all students. Chisholm teachers employ the latest in learning technology. Every classroom is equipped with a Smart Board; interconnectivity between students and teachers is maintained through LinQ and Smart Synch technologies. On a daily basis, teachers upload class homework and assignments to the Chisholm Academy Homework Website, so that parents can review current homework and long term assignments. Teachers utilize Smart Synch technology to download to student laptops examples, notes and daily lesson activities. Student planners supplement the Homework Website and Smart Synch usage. At the end of each class, teachers review daily lessons, assisting students in organizing their material, and ensuring that the planner is completed. Parental contact is actively encouraged and is a key component of success at Chisholm. Through constant communication, we work together to help our students achieve academic and personal success. Progress, mid-term and final reports are important parts of the process as is informal e-mail. At Chisholm, there is something for everyone! We hold most of our extracurricular activities during the lunch break in order to provide all students with the opportunity to participate in a variety of activities. Clubs include: Art, Music, Computers, Drama, Yearbook, Movie, Chess, Photography, Golf, Intramural Sports and other activities as students request. The admission process starts with a tour of the school and an interview with our Admissions Director. Please call our Centre at 905-844-3240 for an appointment to discuss our services and arrange a tour.